Do you want to aromatic your house with a floral pattern then buy this carpet which is made in pure New Zealand wool and cotton material. Due to the cotton material, this is highly durable. It has a Red ground so you can also use it for high traffic area. Red Carpet is always in trends. You can use it in any season. 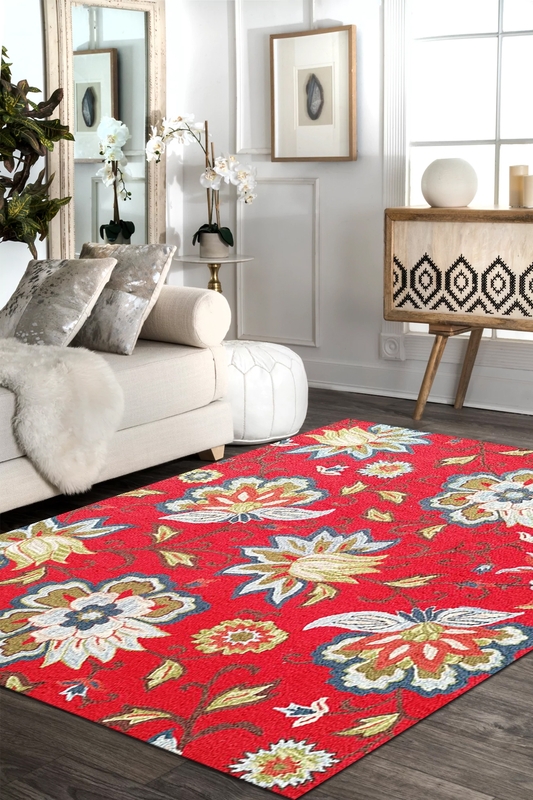 Bold Floral Motifs on red ground, this carpet looks awesome and this is from a rare collection of Rugs and Beyond. It is woven in pure New Zealand wool and cotton material using a hand-tufted technique. This is a highly durable carpet and takes 4-5 months to weave. Give a new and vibrant color to your decor by placing this beautiful wool rug.